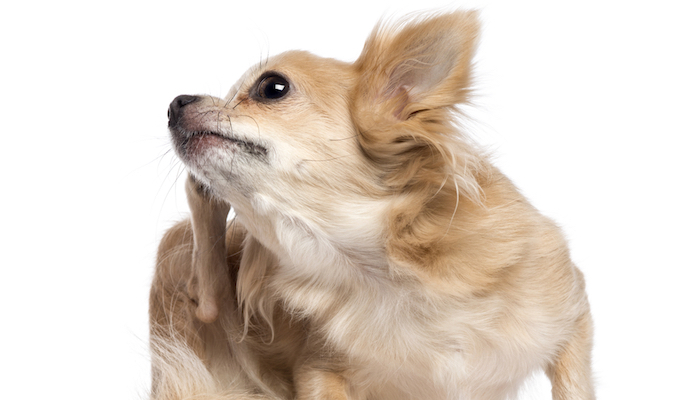 The first time you encounter fleas on your pet can be overwhelming and a bit scary, but the good news are that there are plenty of treatments and remedies available in today’s market. You can get them at the pet store, or online for a bigger selection! You do need to know what you are looking for, however, or it is easy to get a bit lost in a jungle of flea killers. When you choose a flea removal remedy for your dog, you want to make sure it isn’t full of harmful chemicals, as they could end up doing more bad than good. It comes down to knowing what to look for, but in general – going with a more natural option is usually a good idea. Using natural products is something most people would prefer if using it on themselves, so why shouldn’t we do the same for our dogs? Psst! There are a few natural flea collars in this review! Products that are completely natural or that use mostly natural ingredients have become popular over the last few years; gradually pushing those with harsher ingredients further down on the popularity chart. This has a lot to do with people learning more about the negative effects harsh chemicals can have on a dog or a cat, but also about society beginning to discover the natural alternatives – that so happens to work just as good. Using natural products is something we should always try to aim for when it comes to our pets; both when feeding them, when providing chew treats and when grooming and flea infestation treatment shouldn’t be any different. There are great products available on the market that use ingredients straight from nature as a replacement for synthetic and artificial equalists, giving pet owners a choice that wasn’t available a few years ago. 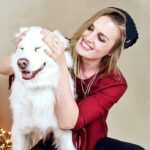 Natural products won’t put your beloved furry family member at a risk of unpleasant side effects, but that is not the only thing that is great about going natural when fighting flees. Natural products are – naturally – also better for the environment. We are at a point in history where we have to make sure we take care of the earth that we live on, or there might not be much left for future generations. We can no longer put it off and leave the responsibility to someone else, and with small actions such as choosing natural flea remedies when treating an infested pet – we can begin to make a difference. When talking about natural remedies, it is not only about products that use mostly natural ingredients, but also about things that come straight from nature and that can be used to eliminate and prevent fleas. You can try to use these on their own or look for them in natural products when deciding which one to buy. The latter is usually the most recommended option, to assure your dog gets adequate flea treatment to fix the problem before it gets worse. Lavender is a natural bug repellent, and the stems have been found to be effective when trying to keep off fleas, ticks and other types of insects. Then can be placed in the dog’s bed or bedding, or you use them to make a natural bug spray to spray at home or directly on your dog. While there are no conclusive studies to prove that this works to keep fleas away, there are some indications that it might, as the Thiamine in it appears to repel them and drive them off. It probably will not work miracles on its own, but it is an ingredient worth looking for in commercial natural products. Using this on your dog is a great way to keep fleas away, as a preventive, or to drive away those that are already living on your poor pup. It does not kill them, but the smell and taste are unpleasant to fleas and makes them want to leave as soon as possible. Just remember that they might start looking for a new host, so either pick a product with this as an ingredient or consider using it only as a preventive treatment method. The controversy of Garlic is whether dogs should consume it, or if it can be harmful. Experts agree, however, that a small quantity can safely be added to their food, to build up a natural resistance to fleas and ticks. These are just some examples, and the list is long. Different types of citrus products are also known to repel bugs and can be used as a way to stop fleas from crawling onto your pup or to try and get them off once they are already there. The smartest thing to do is to learn about the ingredients you want to find in a good and natural flea repellent so that you can make an educated choice for your pooch as well as for your family. Will these natural remedies can technically be used on their own and in their natural state, it is always easier to look for a developed product that contains them, to make sure your dog’s fleas are properly taken care of. There are many natural- and eco-friendly flea removal shampoos and flea killing products on the market that are mild for the skin and nurturing for the coat, which solves your creepy crawler problem while also giving your dog that dog show look! Keep an eye out for the ingredients mentioned in this article, as they are helpful in both the prevention and the removal of unwelcome fleas. Stay away from tough chemicals that could dry out your pet’s skin and coat, or that could cause allergy and discomfort, as they’re skin might already be tender after days of itching. Our pets deserve to be cared for the way we would care for ourselves, and we wouldn’t rub toxic poison on scrapes and rashes, would we? Going natural is a way to care for your dog, your family and for the environment, without compromising the efficiency of a high-quality anti-flea product.